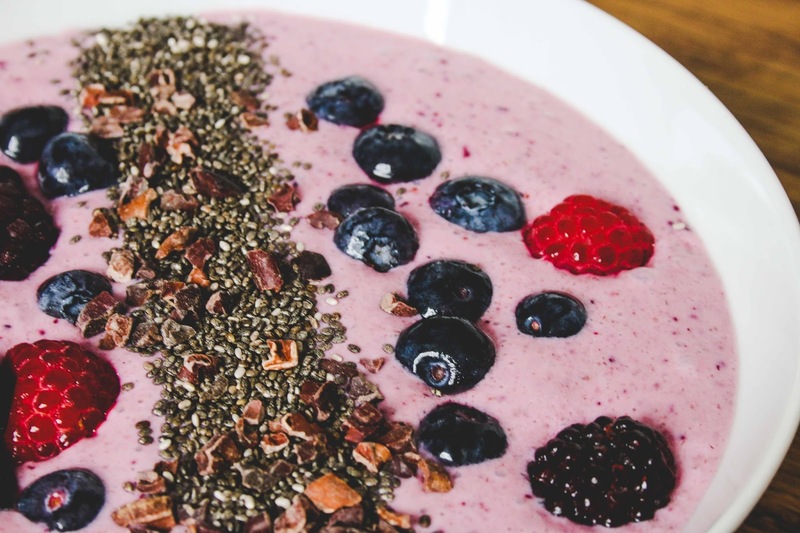 This smoothie bowl makes a delicious hearty breakfast full of omega 3 fatty acids. 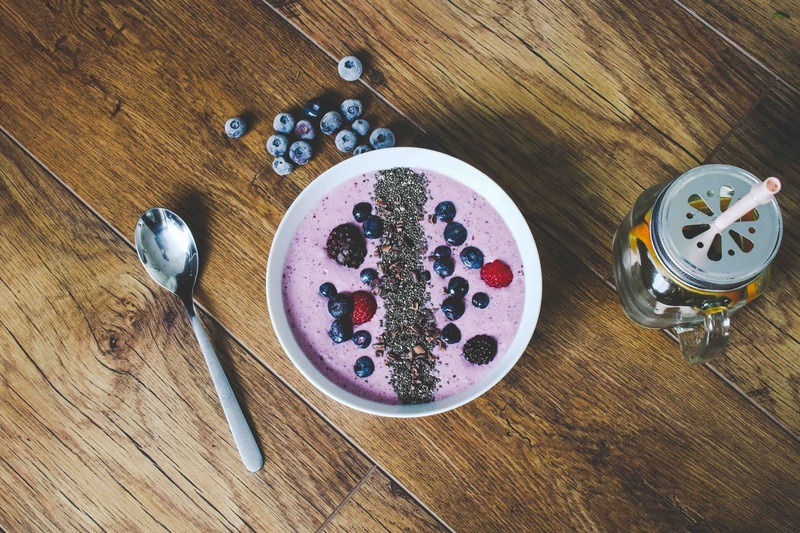 Top the bowl with Chia seeds, cacao nibs, some berries and a drizzle of agave syrup. 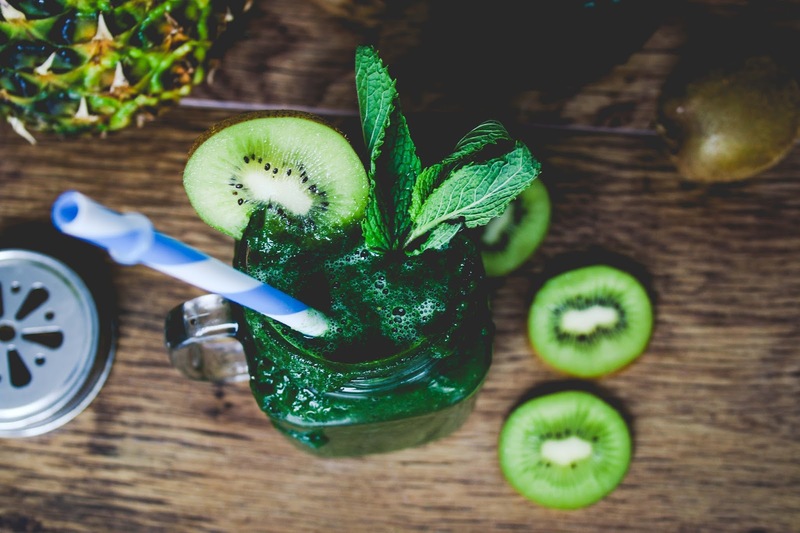 I've added some supergreen powders to this recipe which makes this smoothie incredibly healthy. 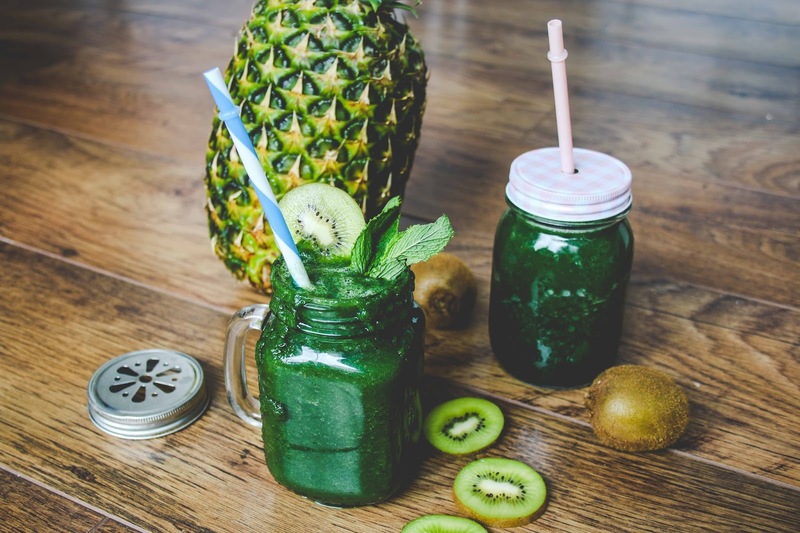 Spirulina powder has 3900% more iron than spinach and is rich in vitamins K and B. Chlorella powder is amazing for detoxifying the body and supports heart health. 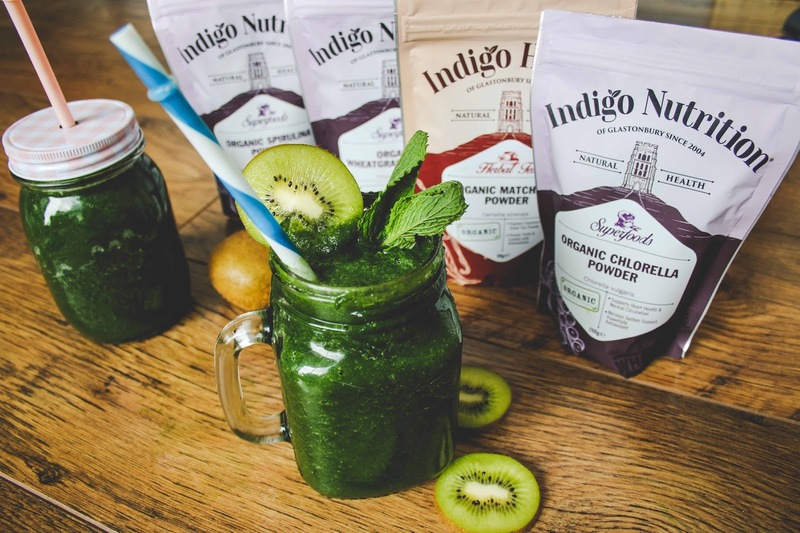 Wheatgrass contains all minerals our body needs and vitamins A, B-complex, C, E, l and K. Matcha green tea will give you an amazing energy boost and will increase your metabolism. You can add these powders to any smoothie but I found it worked particularly well with this recipe. 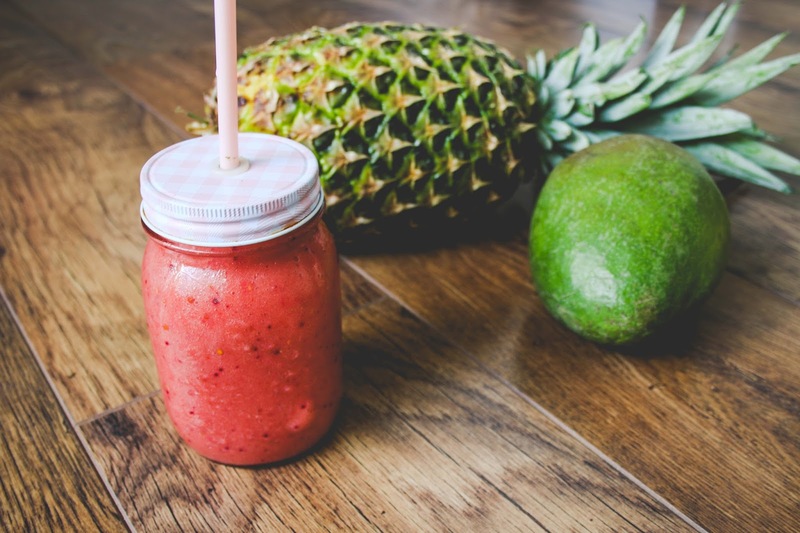 This smoothie tastes like the tropics and it's full of protein, antioxidants and other goodness thanks to the addition of the Vegan protein blend. Another delicious concoction I've come up with is to layer the Blueberry and the Tropical smoothie with a thick layer of chia seeds and leave it over night. 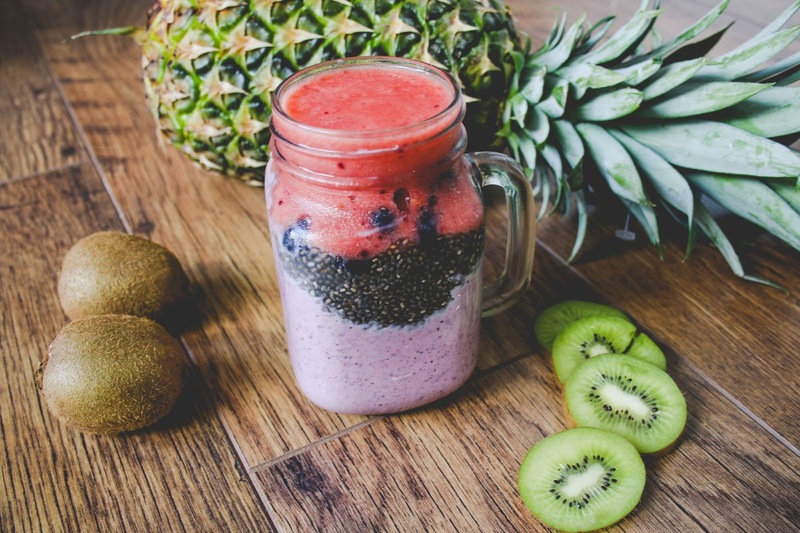 It creates a perfect chia seed pudding smoothie breakfast.